We need your confident leadership in this turbulent and distracting 21st Century. It is a struggle of unnecessary proportion when you attempt to lead void of the time for self that confidence demands. For this reason, your Impact, I consider the first of 7 skills as foundational: Personal/Professional Growth Management. Hold & Release is a paradox. What I offer in this writing is for you to open to the truth and blessing found in holding each paradox on the path of growth and development as a leader. Hold & Release; an active visual that has my attention. It helps me understand the pull I know these days to hold together the requirements I feel from both internal and external forces. This may be in part attributable to the time of life where I find myself. But I also find I am fascinated with the holding of opposites−a reality, that when honored, opens the seeing to beautiful vistas both inside and outside. In actuality I’m being taught the oneness in all I see; that I’m privileged to see. As Robert A. Johnson says in his book, Owning Your Own Shadow, a contradiction is a quarrel. True paradox is a binding together, a teacher in each opportunity, if we can hold such long enough to see something in the overlap of seeming opposites. Paradox is a constant reality for you, the 21st Century leader. You benefit from each one only as you hold the two opposing truths together long enough to see what you must release into the intersection that is the more fully formed truth. When it comes to our growth and development, the distracting contradiction is the mental quarrel that we allow between selfish and selfless as we listen to the narrow, opinionated voice that says we are selfish if we take time for self. In order to move beyond the quarrel, you must see a dedication to your growth and development as selfless−making you better for those you lead, influence, and serve. This brings you to the paradox of Skill 1. 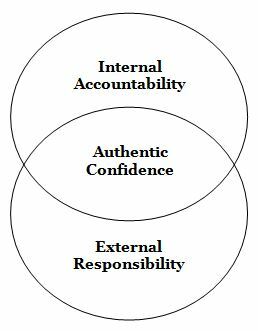 The two truths you must hold together are Internal Accountability and External Responsibility. It is not one or the other, it is both, and. In this intersection of truths is your creative tension as a leader. Your leadership boldly enters the 21st Century as you hold this tension, and, from what you see, release into the flow. In the intersection, in the artful act of Hold & Release, you grow in Authentic Confidence. This is precisely what the world now needs from you, and it is found in this often painful and tense intersection. Should you not meet the challenge and learning in this paradox, we are cheated as your most authentic strengths remain in the shadows: see the post Shadow Strengths – Chapter One (Impact). Along my own work journey I’ve been told to tone down the passion. It seems there was something threatening to those uninvited advisors; maybe a lack of passion in their own work. Fortunately things are changing as I hear leaders speak often about the need and place for passion in one’s work. This makes me happy for many reasons. At the top of the list is Love. For I believe when one allows passion to flow from the inner territory to the outer accountability, then this individual is living love. I tell his story because he exemplifies the power of passion converted into living love. Bob’s passion for his work, and especially for his town, is powerful energy flowing out through each story he has to tell. And he loves to tell his stories about his Town of Jonesborough. You know it, you feel it, when you hear a story from those like Bob. When, as a leader, you see the need for passion, trust your sense, then look for passion in others. It’s there. It simply needs your vision−and mostly your encouragement: a beautiful measure of your Living Love. My part in the phone conference was coming to an end. We were talking about our upcoming work together with strategy and story. Knowing her peers had not worked with me as closely as she, Vicki spoke up in support of the upcoming preparation. She said some wonderful things to her peers about the experience she had in our one-on-one work as coach and coachee. I am truly grateful for, and uplifted by, her words. Most importantly was what Vicki was exhibiting in her comments. Vicki is deeply respected by these fellow leaders. This respect was built long before we met and worked together. If I did anything for her (and her kind words testify that is so) it was simply to bring her true self to present consciousness. Through a commitment to her unique Desire & Intent, Vicki is more deliberate in flowing this authenticity outward toward others. In summary, Vicki’s Impact is in how she supports others in becoming stronger contributors. She lives in this new confidence holding the creative tension formed by the intersection of her Desire for creative diversity and her Intent that others be confidently fulfilled. Vicki’s outward confidence is A New Confidence in that she has simply reconnected with an inward source−her own authenticity. Our outer accountability is rooted in the inner territory of who we are−our trueness. Like Vicki, our trueness is expressed through the Impact of who we are−a collision of desire and intent for those we lead, influence, and serve. It is most likely impossible to help one younger see how their story is developing if not embracing the tension to understand the unfoldment of our own story. As one from an older generation, I have embraced my opportunity to flow into, and with, the second-half of life and living. With this comes great accountability to those younger. There are individual stories, but there are no separate stories; and the larger, collective story is not divided into chapters of age. In every chapter we swirl in collaborative experience. If we miss the experience it is because we simply choose to not partake. The experience is there whether recognized or not. At the core of individual story is a gift; unique to who you are. It is in the convergence of gifts that we find the larger story rich and full. Join the unfolding story in the power and reality of this generational alliance. To do so is to participate (teach and learn/learn and teach) in a full conversation. Regardless of generational providence, be present with your gift and allow us the gift of your presence. You may have noticed a theme building in Jason’s definitions with each of these 7 21st Century Leadership Skills. He is clearly expressing a desire for inclusion; to be in on the why and to be a partner in bringing about a vision (a story). Think of a leader in your experience who truly prepared you for the journey. This would be someone who did not guide you from the periphery of their own context. Instead, they guided from the core of their own experience undeterred by border distractions. 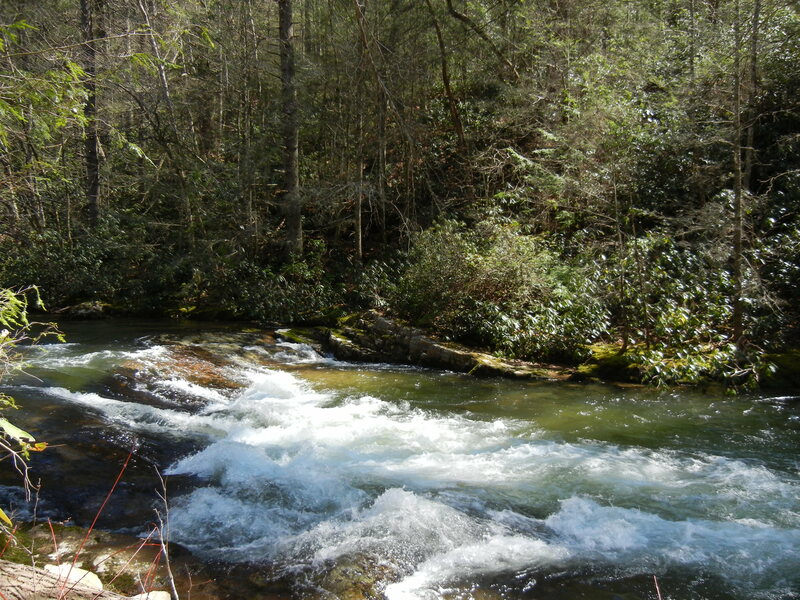 As my wade has taken me to the middle of my stream of experience, I feel the definite current of accountability. More than ever, free the core of who you are, launch into the skill of Collective Facilitation, and share focused guidance with an attentive generation. Individual and collective impact is a complex outcome from the simplicity of focus−illuminated by your confident stance in the flow of accountability for those led, influenced, and served.